All of which made the fan reaction puzzling. Were they cheering, as actor Sam Heughan joked with Vulture afterward, because we got to see Claire’s backside? (“How can you not enjoy seeing that fine derrière?” he laughed.) Were they cheering because show-Claire got to get in a few more defensive moves than book-Claire did, most notably kicking Jamie in the jaw? (“I think I probably actually hurt Sam!” actress Caitriona Balfe confessed. “You got me on the kick,” Heughan confirmed.) Or was the audience cheering because here we had a highly anticipated moment, and the show managed to pull it off? Gabaldon said she was impressed by all of the dailies shot from the two-day shoot, which demonstrated “the perfect balance between menace and comedy, anger and patience, and absolute balletic action. Riveting.” That, rather than the beating itself, must be why fans are cheering. 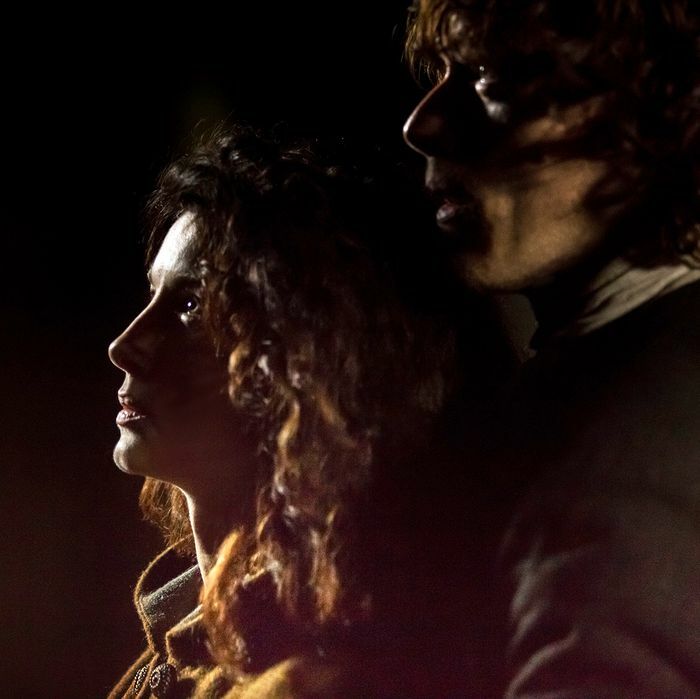 Outlander’s Spanking Scene: Why Did Fans Clap?